Deluxe Duo Tour featuring two of the best music cities! Deluxe Duo Tour featuring two of the best music cities! Don't miss the chance to visit both of these outstanding music hotspots - we'll be doing all the best! We make our way to the southern state of Tennessee and check into our home for the next three nights, the fabulous OPRYLAND HOTEL! Enjoy some time to freshen up and check out your awesome surroundings - you won't believe this place! Later, we include a delicious dinner at the Santa Fe Cattle Company. Breakfast included. This morning, we'll start right out with a professionally-guided sight-seeing tour of "Music City USA". Drive through the historic downtown, see Music Row, visit the Parthenon and as much more as time allows! 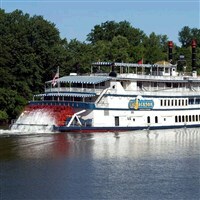 A special treat will be our luncheon cruise aboard the General Jackson, the world's grandest showboat, offering a delicious meal and world-class entertainment while you cruise the majestic Cumberland River. Our folks LOVE our rides on the General! Then we're off for a special "Backstage Tour" of the Grand Ole Opry House! 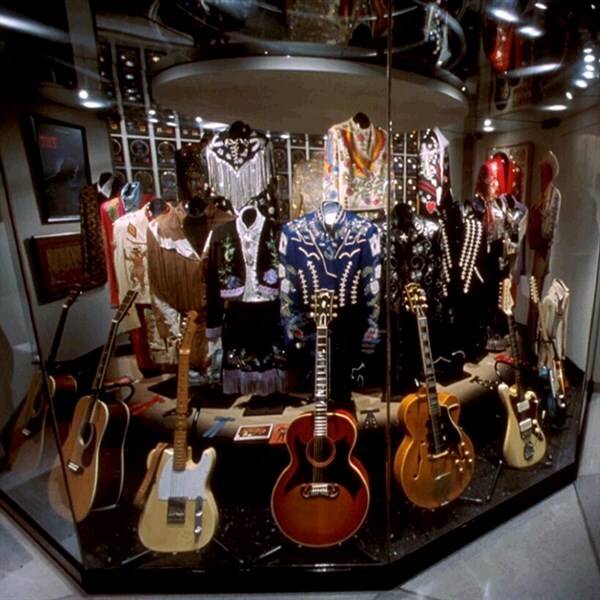 Walk in the footsteps of country music's superstars and get an exclusive look at what happens behind the scenes of the show that made country music famous. Hear stories about the Opry and country music greats, past and present (from Minnie Pearl to Carrie Underwood, you might say), see photos from the Opry's biggest moments in history, and much more. 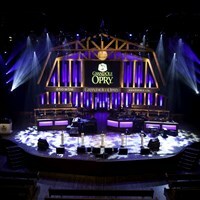 A delicious dinner awaits us at a local popular Nashville restaurant, and then we'll head for Opry Plaza to take our reserved sets at the world-famous Grand Ole Opry, the longest continuously-broadcast radio program (since 1925) in the nation. Each show features over 20 acts from the legendary to the new young stars. What a way to end the day! Breakfast included. Away we go to the Country Music Hall of Fame, shaped like a giant musical note! This world-class Museum presents a vast collection illustrating country music's story, told through the turns of two centuries, and is a treasure trove of historic country video clips and recorded music, exhibits, plus boasts a wonderful Museum Store where you can shop for special country-music items - a fascinating place to visit! Then w head over to the Historic Ryman Auditorium and hear stories of its marvelous history - if walls could talk! 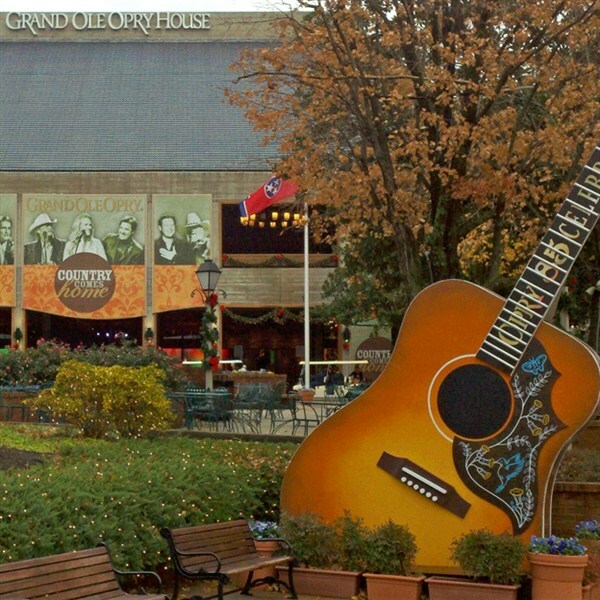 Known as the "Mother Church of Country Music", it was home to the Grand Ole Opry from 1943 to 1974. sit in the original pews and perhaps have lunch where you can choose your spot to eat like the locals do. Later this afternoon, there will be some free time at yourOpryland Hotel complex to enjoy the ride on Opryland's indoor Delta River Flatboat as you glide through the indoor hotel waterway which meanders throughout the hotel complex past lush greenery and small waterfalls. Tonight we'll enjoy reserved seats at the Nashville Nightlife Theater for dinner and their show, "The Best of Country Music". Prepare to be serenaded with songs from past to present. ~At every turn, a truly great day! Breakfast included. It's farewell to Nashville, but hello to Memphis as we journey across Tennessee to the largest city in the state. Memphis is especially famous for its Rhythm & Blues, Jazz, Soul, and Gospel traditions, with many notable musicians growing up in this area filled with a rich musical heritage. We begin our time here with an Elvis Experience ticket at Graceland, former home of Elvis. 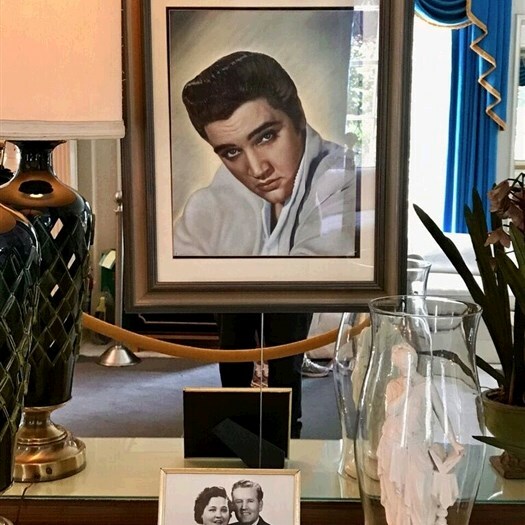 Your ticket will include Graceland Mansion Tour, full access to the Entertainment Complex which includes the Presley Motors Automobile Museum, The Entertainer Career Museum, the Elvis Discovery Exhibits and the two custom airplanes on property - wow! 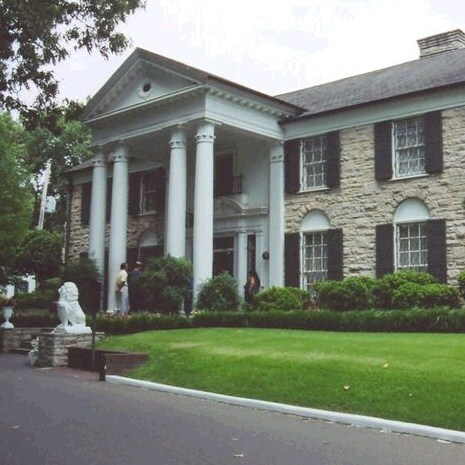 Our hotel is right across from Graceland at the New Guest House at Graceland! This evening we will enjoy some free time for dinner and shoppin on your own on Beale Street. Fun, fun! Breakfast included. An interesting, guided city tour of Memphis awaits us before we journey on to Kentucky's largest city, Louisville. Sit back, relax, and let our deluxe motorcoach carry you to our lovely hotel right on the banks of the Ohio River! Tonight we will enjoy an included group dinner - such a great way to end this deluxe Tennessee Duo Tour! Breakfast included. And we will then head home with happy hearts and a guitar-case full of toe-tappin' memories to keep forever! Includes: Deluxe motorcoach transportation, hotel accommodations for 5 nights, 5 breakfasts, 1 lunch, 4 dinners, activities and touring listed in itinerary, luggage handling and taxes. Walking Code 3: This tour includes moderate physical activity. The itinerary blends some longer days with shorter days and more leisure time. Walking tours, as well as walking slightly longer distances, climbing stairs or walking over uneven terrain should be expected.